Find here your vouchers and coupons Classbento. 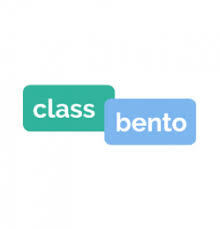 Classbento offers everyone in Sydney the best fun workshops and experiences in person. We are adding new workshops every week from teachers across Sydney. From arts and craft to cooking to jewellery making and DIY and dance classes. We also offer gift cards! Perfect for Hens Parties, Bucks, Team Building, Corporate Events, Team events, Health & Well being. Perfect for Gifts for him, for her, Mother’s Day, Father’s Day, Birthdays and Christmas etc. ClassBento empowers our local artists to make the arts accessible, affordable, and appealing. Everyone deserves to have an artisan experience, via our Sydney workshops. Our arts and crafts shouldn’t just be locked up behind glass enclosures. We should enjoy the play and discovery in their creation.